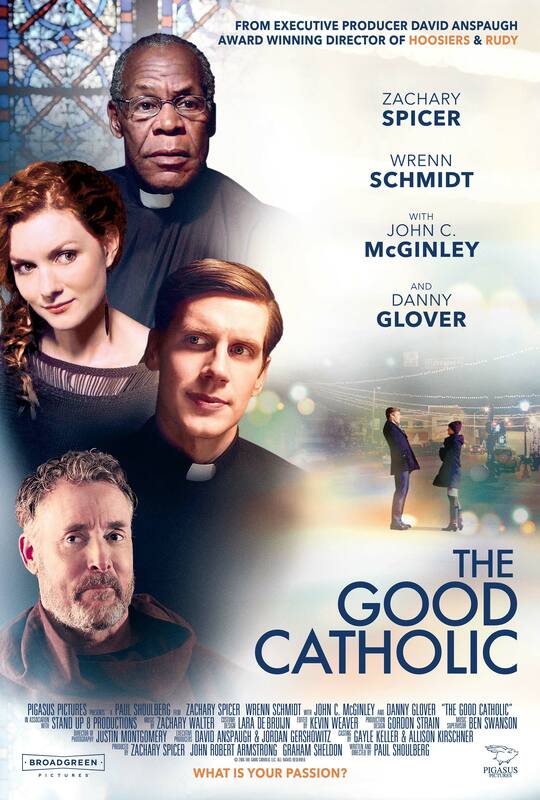 This September, New York Film Academy Instructors Zachary Spicer and John Robert Armstrong’s independent feature “The Good Catholic” will release in more than 20 cities across the U.S. and 15 countries worldwide, thanks to distribution deals with Broadgreen Pictures and Gravitas Ventures. Spicer and Armstrong created “The Good Catholic” with their production company Pigasus Pictures, and have just finished an incredible won on the festival circuit that saw them snag the Panavision Spirit Award for Best Feature Film at the Santa Barbara International Film Festival, the DaVinci’s Horse Award for Best Screenplay at the Milan International Film Festival, Best Picture at the Grove Film Festival, and more. We had a chance to catch up with Zachary Spicer via email to talk about “The Good Catholic” and his production company, Pigasus Pictures. NYFA: First, can you tell us a little bit about your background and what brought you to NYFA? ZS: I grew up in small town Indiana, went to Indiana University where I studied archaeology — until I realized that Indiana Jones was much more fiction than fact. I was cast in a show my senior year by a visiting director who told me I should go to NYC to study to become and actor. I studied at Circle in the Square theater school, where I fell in love with theater. After graduation I began working a number of jobs while I beat the pavement trying to land auditions. I’ve been very fortunate in my career ever since. My first Broadway gig was with Cynthia Nixon in the Tony Award-nominated revival of “Wit,” followed by Kenneth Branagh’s “Macbeth” at the Park Avenue Armory. I began working on TV shows like “Law & Order: SVU,” “Blue Bloods,” “Gotham,” “Louie,” and “Master of None,” before I was approached by my old IU colleague John Robert Armstrong, who was an instructor at NYFA. They needed someone to come in and teach a substitute acting for film class, so I volunteered and fell in love with the place. I started teaching as many classes as I could get my hands on: Meisner, audition technique, acting technique, and so on. NYFA: Do you have any favorite moments as a NYFA instructor? ZA: My favorite moments at NYFA were in my acting for film class late on in the semester, seeing students who had been writing down these “theories” and “practices” of working on film, seeing them tool it over and over again, and then finally see the light bulb come on, seeing that moment of practical recognition of their craft and the power it gave them. How they could use it and seeing them begin to really gain confidence and believe in themselves. NYFA: Can you tell us more about what role NYFA played in the making of “The Good Catholic,” and about your collaboration with John? ZS: John and I met everyday in between classes and before and after classes, and started to try to figure out how we were going to pull this miracle off. We weren’t rich kids with money to spare and we didn’t have deep ties to the industry, so we really had to work from the ground up. I had this vision of a film company and what we could do, and John was the nuts and bolts guy of figuring out exactly how we could get it done. We would workshop scenes that were in the movie in our classes with students, seeing what would work and what wouldn’t, starting to map out shots and seeing character arcs explored with our students, and discussing the storytelling elements of one scene leading into another and what was significant about each moment in the script. Seeing how the film was playing in class really motivated us to continue our efforts to produce. NYFA: What inspired the idea for “The Good Catholic”? ZS: The story itself was inspired from writer/director Paul Shoulberg’s actual parents. Paul’s dad was a small town priest and his mother was a nun who had met in church, eventually fell in love, and left, married, and made Paul and his sister. Paul’s dad passed away a few years ago and Paul really wanted to write a story that was testament to his father. He wasn’t only writing what he knew, he was writing what he had to write. NYFA: You’ve mentioned that some of your former NYFA students were involved in “The Good Catholic” and other productions at Pigasus Pictures — can you tell us a bit about those collaborations? ZS: I was very lucky to be teaching some incredibly inspiring students while I was there at NYFA. The students there just blew me away with their passion, curiosity, and commitment. One class in particular formed a production company immediately upon graduating NYFA, and I work with several of those members today. With our next film “Ms. White Light” shooting this fall, we are looking to hire them and three or four more former students to come on board the adventure with us. NYFA: Speaking of “Ms. White Light,” can you tell us more about upcoming projects at Pigasus Pictures? 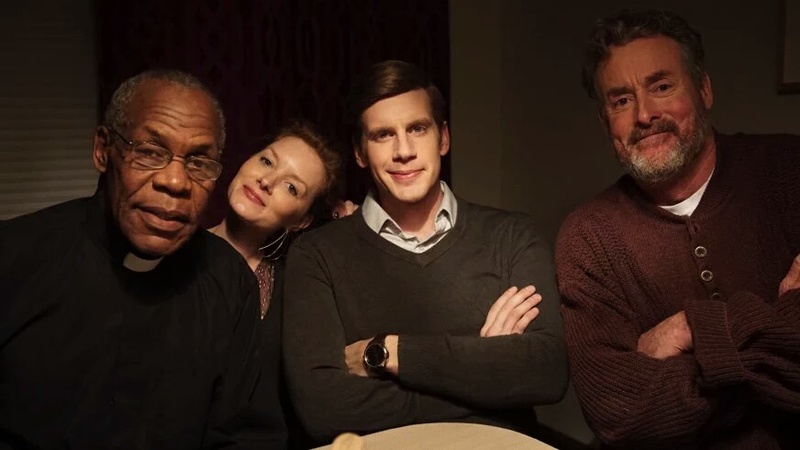 ZS: At the same time of distributing “The Good Catholic,” Pigasus Pictures is currently financing a slate of six projects to be produced in the next three years: four feature films and two television pilots, all to be filmed in our home state in Indiana. The next production will be the dark comedy feature film written and directed again by Paul Shoulberg called “Ms. White Light,” the story of a young woman who works in the world of hospice that has a unique ability to connect with the dying … it’s just everyone else she has a problem with.